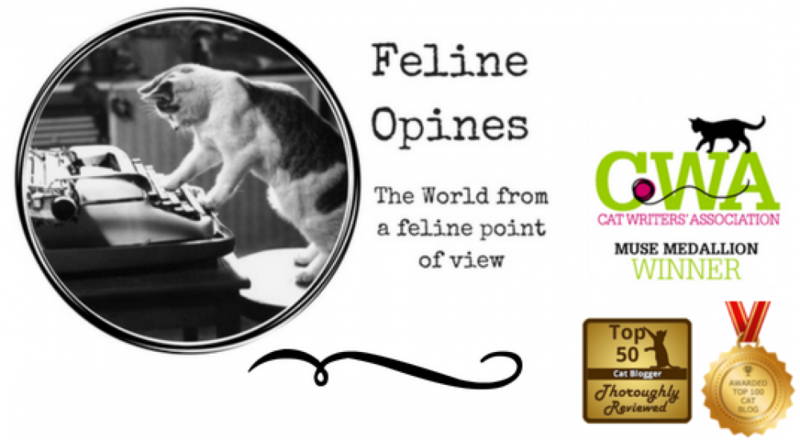 This entry was posted in AtoZBloggingChallenge, cat behavior, Cat blogs, Cat writers, cats and tagged Alberto, cats judging you, Oliver, The Tribe of Five by Feline Opines. Bookmark the permalink. LOL, it’s good to have confirmation. Oliver, you have excellent Judging skills and I nominate you for the Supreme Cat Court! Oooh, good idea as I didn’t win my bid for Purresident! Well cats are the masters and we are their servants. I’m sure they are thinking about how we fail at being servants. The old saying is “dogs have masters and cats have staff”. Very true in our house ! Wow I will have to watch out for that. I think they are staring to hypnotize us into doing their bidding! Too true the Tribe of Five has us very well trained! Someone has to keep our humans in line! MOL, The Tribe will be implementing that tactic soon, thanks for the tip Snoops & Kommando Kitty!